Team Catford has joined forces with Tania and Jojo of Black in The Day, for a ‘Scanning Social’ at 17 Catford Broadway. The Scanning Social is an opportunity for local people to contribute to a photographic archive of Catford’s history, as we look towards the future with the town centre masterplan. Black in The Day is a submission-based archive, documenting the lives and history of black people living in the UK. The organisation is dedicated to paving the way for a future empowered by the knowledge of our history as people. They have worked with the Southbank Centre, the Institute of Contemporary Arts, Tate Britain and the Black Cultural Archives, to host their scanning socials and creative workshops. 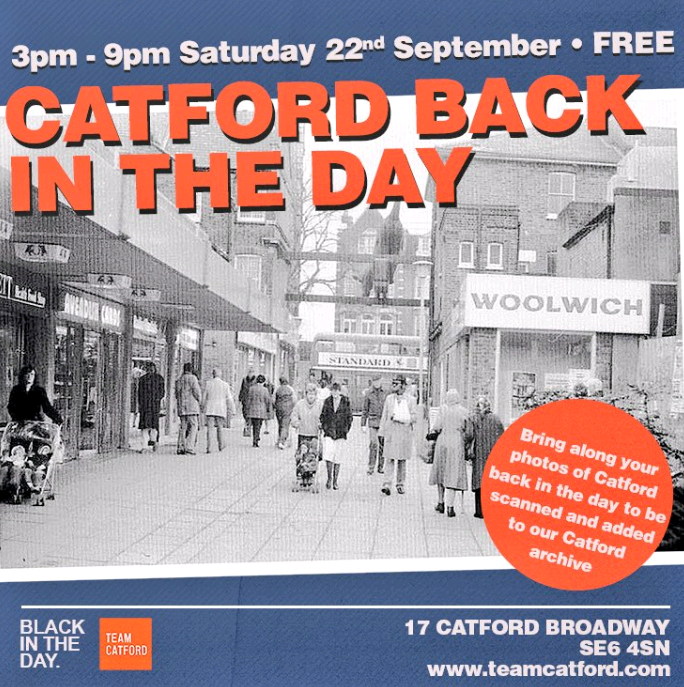 On Saturday 22nd September, we’re inviting all Catfordians to bring photos from decades gone by from the family album or a personal archive – to form a gallery of Catford through the ages. Photos will be scanned in on the day by members of the team with the original copies returned immediately and the owners will be invited to write a caption for their photos. With architects on board to draw up a vision for the town centre in a masterplan in the coming months, Team Catford fully support this initiative to reflect the richness of its community and explore the changes over the years. Whether these images are from the family album or a personal archive. The photographs will be scanned, given a written caption by the owner and returned to take back home. 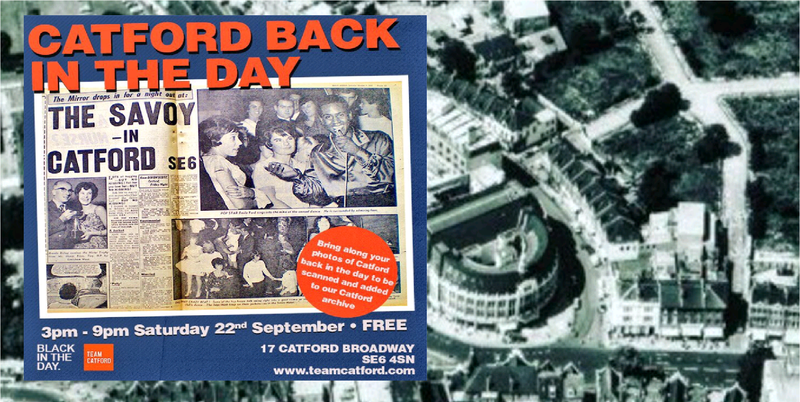 We also look forward to socializing and coming together to share Catford’s stories!